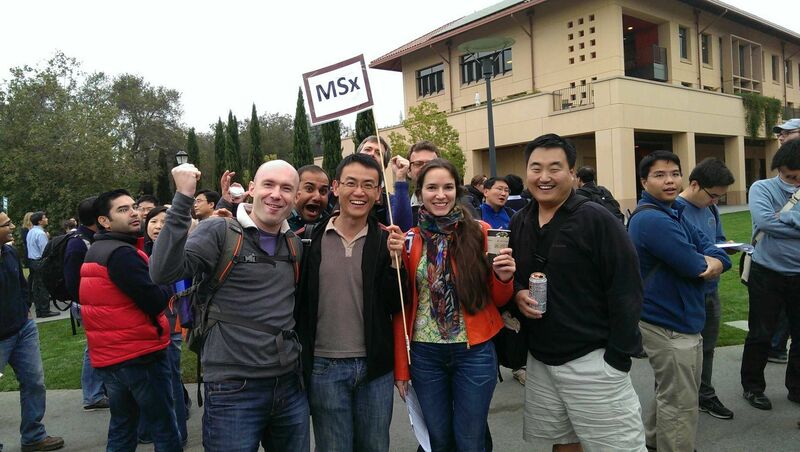 This post is very tardy, but wanted to get this posted before the Class of 2015 MSx’ers make their final decisions for Autumn Quarter class registration. Accounting: Prof. Ed DeHaan was by far the most broadly appreciated professor in our core curriculum. At the end of the academic year, he was voted our MSx most-favorite professor by our cohort. This accounting class specifically covered Financial Accounting (as opposed to Managerial Accounting). Personally, I didn’t appreciate the difference between Financial and Managerial Accounting until we dove into the subject matter – but now I get it. Financial Accounting focuses on production (or analysis) of financial reports – whether for internal or external (e.g. shareholders, creditors, banks, public markets, regulators, etc.) consumption. You’ll get brief exposure to GAAP (generally accepted accounting principles) and how financial reporting contents can be used to determine the behavior and health of a company. Incidentally, one of my favorite GSB electives was Prof. Lee’s ACCT 340: Alphanomics: Informational Arbitrage in Equity Markets – even though I was probably poorly prepared for this class… This was probably my most quant-focused elective. If you think you will take Alphanomics, make sure you pay particular attention to the core Financial Accounting class – you will definitely see that material again! Finance: For me, this was by far the most difficult MSx core class. I knew just enough of the subject matter that I went into the class rather cavalier about learning the material, but clearly didn’t know Finance well enough to truly excel in the coursework. This class really focused on valuation of financial assets, how to choose between debt and equity and how financial markets affect the operations of a given firm. Prof. Strebulaev always started the class with a story, joke or brain teaser exercise – this made the class fairly lighthearted and enjoyable. But I also know that many of my classmates feel like they didn’t learn as much as they wanted. This is truly different from the experience of the Sloan Class of 2013 – in contrast, that class voted Prof. Strebulaev as their most-favorite professor of the year. In particular, this curriculum was useful to me because I will undoubtedly need to use it when raising capital for future startup endeavors (e.g. Hinted). He should definitely be a presentation role model – but that comes with some obligations on the students’ side… DO NOT BE LATE to his classes. He absolutely hates tardiness and would prefer that you not be there at all. Don’t expect to get an H in this class unless you can nail the final exam. He (or his graders) will expect you to remember and quote the frameworks and other materials studied in class. This class covered the psychology of how people work with each other in organizations. Learning how organizations communicate and function can help managers understand if their companies are well-functioning or in need of repair. For startups, it is probably more helpful in the growth stages than in the really early formation stages – but this will certainly help us design the right corporate culture as we move forward. A lot of what we covered in class is also the basis of the “Feedback is a Gift” mentality that we embraced for our new startup. Strategy: Due to the retirement of Prof. Roberts, this class is currently undergoing a curriculum revamp. Prof. Oyer will undoubtedly take this class in a different direction, hopefully updating the examples used in the class to more modern case studies. While it was a great class taught in a very practical method, it would certainly make the class more interesting and engaging to have more current examples. In this class, we mostly learned using group projects to get a little “hands-on” experience, researching globalization opportunities and how our selected companies would hypothetically enter new markets. My group opted to investigate Square and a hypothetical international expansion into Mexico. This class builds on MSx summer courses Strategy Beyond Markets, Marketing, Accounting, Finance, Microeconomics and introduces a few Macroeconomics issues – which makes this into a pretty good “bring-it-all-together” kind of experience. Formation of New Ventures: This might have been my single-most favorite class — and teaching team — at GSB. Unlike the core classes, many of the electives are taught by Lecturers (e.g. industry practitioners instead of PhD academics) instead of full-time faculty. My section of this class was taught by Rob Siegel (Stanford MBA ’94) and Scott Brady (Stanford Sloan ’00). Rob and Scott make a fantastic teaching team – both of them have “been there and done that” with every respect to technology startups. Hearing their perspectives – and finding ways to apply that to my past experiences – was particularly useful to me. This class is taught in the Stanford case-study + guest speaker format. The case study part is not terribly different from what you would experience in any business school. You read a case study before class and discuss the merits, with respect to the lesson objectives, in class with the professor moderating a mostly student discussion. However, the big departure and the unique Stanford GSB value-add is the guest speaker portion of the class. After an in-depth discussion of the case (in front of the entrepreneur who was featured in the case study), the guest speaker is invited to address the student discussion points, present their own unique POV or address the class in their own style. How often to you get the chance to not only read about how to become a billionaire, but then have the chance to talk directly to the entrepreneur who did it, ask them what they would do differently and tell them all the things they did wrong? In a nutshell – great class. Angel & VC: The primary difference between this class and STRAMGT 353 is the POV. While STRAMGT 353 is taught from the perspective of the entrepreneur, FINANACE 385 is taught from the perspective of the investor. Prof. Ilya Strebulaev (yes, same instructor as my core Finance class) co-teaches this class with investor extraordinaire Theresia Gouw (Stanford MBA ’94, Aspect Ventures, previously w/ Accel Venture Partners). This partnership works incredibly well – you get a mixture of approaches from both an academic and a real-life practitioner. I think this class puts the core Finance class in perspective – all the lessons learned about capitalization, valuation, etc. all come into real practice as you analyze real-life term sheets and see the different options preferred by different investor styles. This class is equally engaging and also taught in the Stanford case-study + guest speaker format – but the guest speakers are angel investors, venture capitalists, startup attorneys and bankers. Again, you get the opportunity to read a case from the investor’s POV, then interact with actual investors to see if they came to the same conclusions.